I got this eye cream in the January Love Lula beauty box. Love Lula is my latest beauty box addition, purchased for me for six months by my lovely mother-in-law (love you, Carol) as a Christmas present. What I love about beauty boxes is that you get to try lovely products that you maybe wouldn't have come across otherwise. I don't really like eye cream. I've never put it on correctly, I always feel like it's too much or not enough, the skin under our eyes is really thin and I'm always afraid I'll pull it or something. Once, I had a facial, and the beautician told me that if you put too much eye cream on, the skin can get overloaded because it's so thin and products just can't sink in, so they sit just under the first layer of skin and it can make your eyes look puffy. All in all, I generally don't 'high five' eye creams. However, this one from PHB is a bit different. It's organic and free from nasties such as parabens, silicone and perfume, it's also vegan and not tested on animals. It's a gel not a cream, and to me that makes a huge difference as it sinks in straight away and doesn't feel like it's sitting on the skin. As usual, ring finger application is advised, it's clearly the softest finger or something so you won't drag your eye skin. 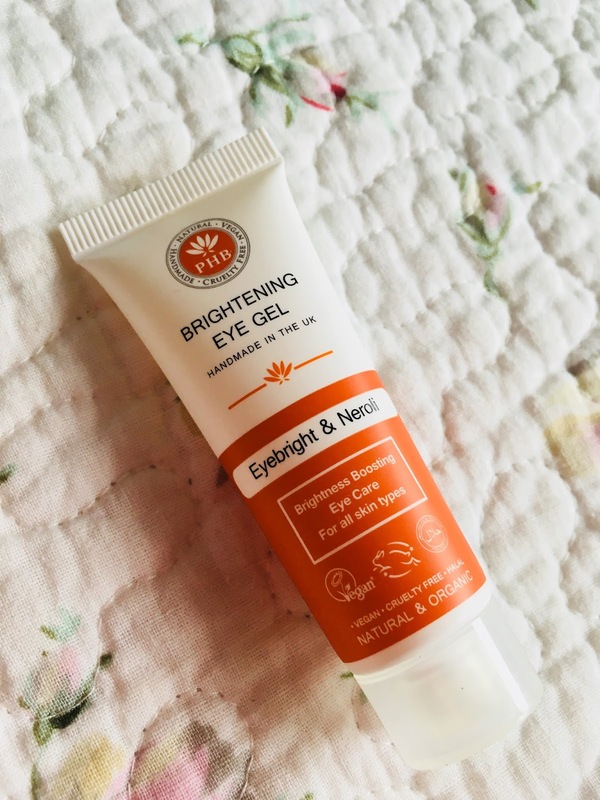 The best thing about this eye gel is that it is so cooling, it feels lovely on tired, puffy eyes and because it's organic there is absolutely nothing in it that will irritate the sensitive eye area. I could feel it tightening the skin. It is not in the least bit greasy which is great and only a small amount is required so it should last a while. The price is £16.95 so I was pleased I got it in the Love Lula box! However, like all my products I don't mind what I pay as long as I rate the product and I do rate this so I would buy this again when it runs out. I've had a look at the PHB website, well worth a perusal in your coffee break, I'll definitely be having a look and trying some more of their products.